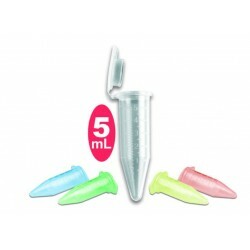 5.0 mL Centrifuge Tubes There is 1 product. 200 units. Sterile. Snap-Cap or attached screw caps. Compatible with standard equipment. Dual graduations at every 0.2mL and 0.5mL Easy-open flip top Syringe port in cap Unsurpassed Clarity.